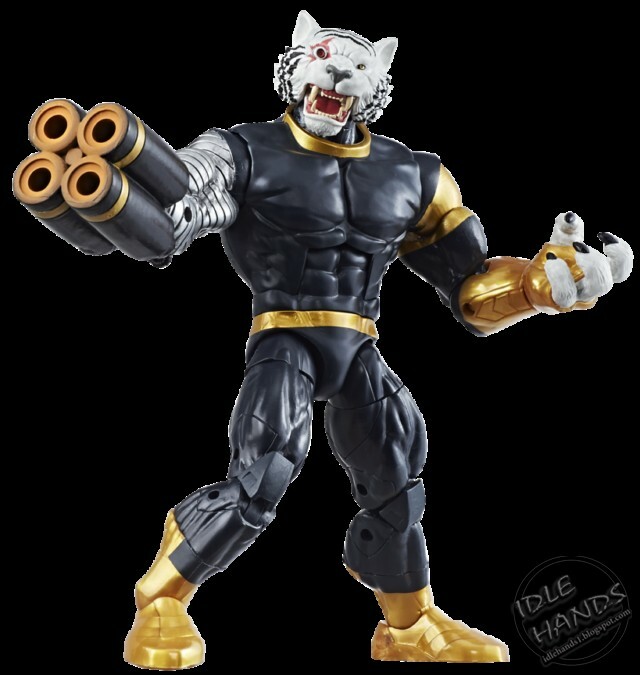 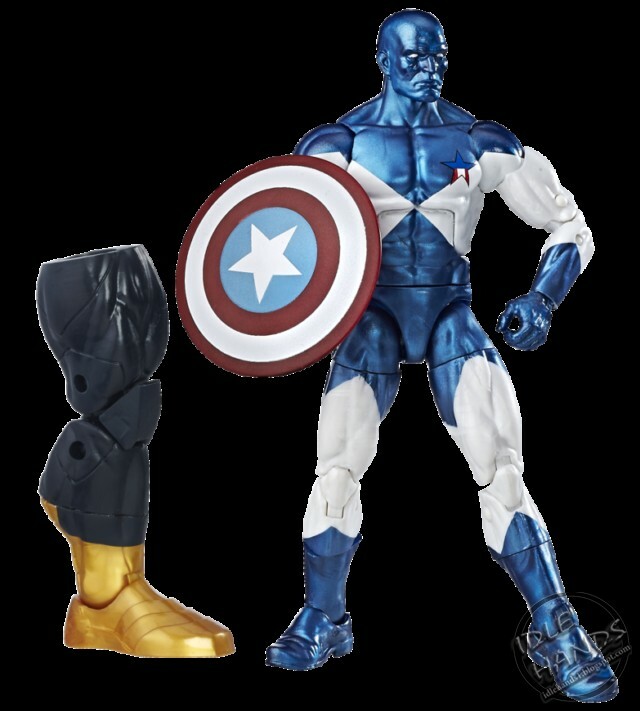 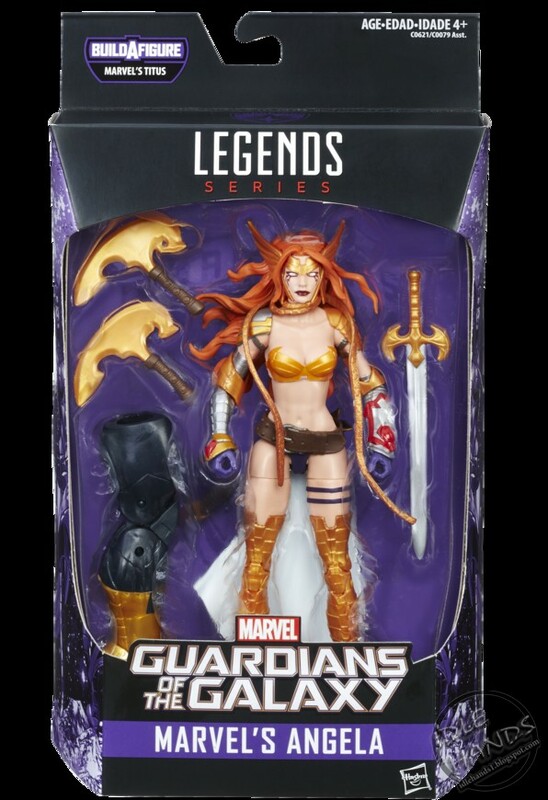 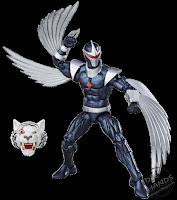 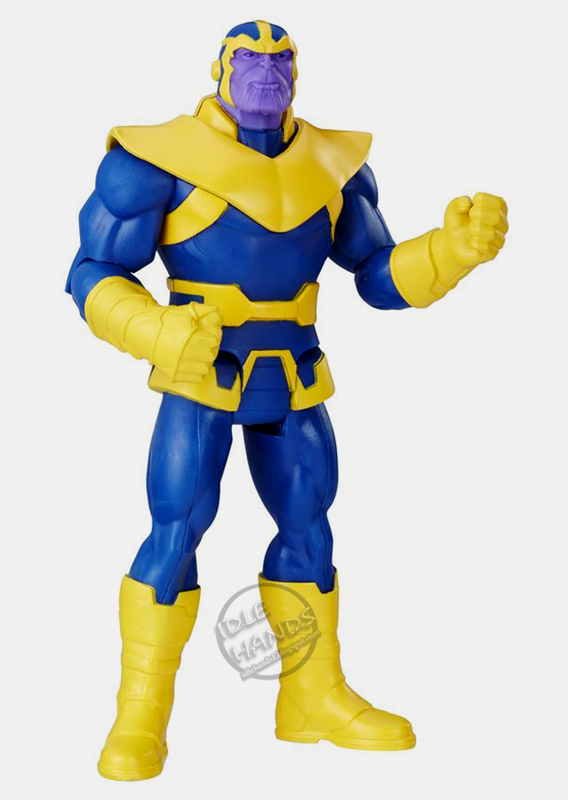 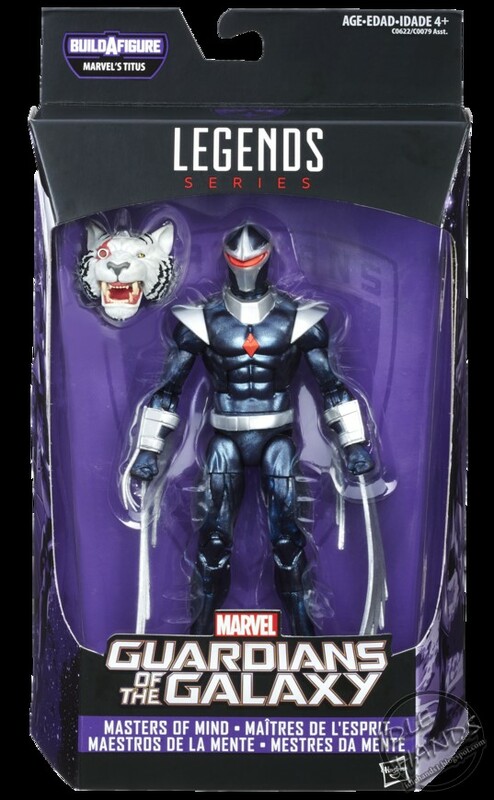 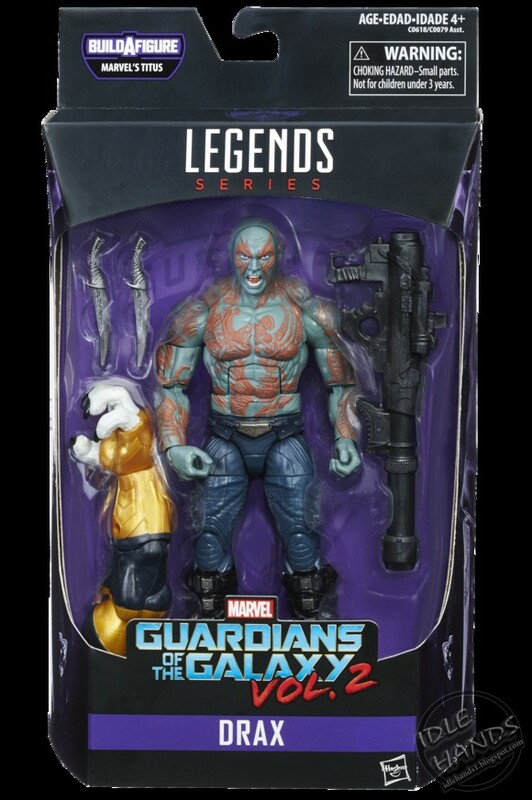 Next up, and currently hitting stores, is Hasbro's Guardians of the Galaxy Animated Series action figures, Titan Heroes and rolplay items. Drax - Drax seeks to avenge his family by traveling the galaxy, finding and defeating evil. 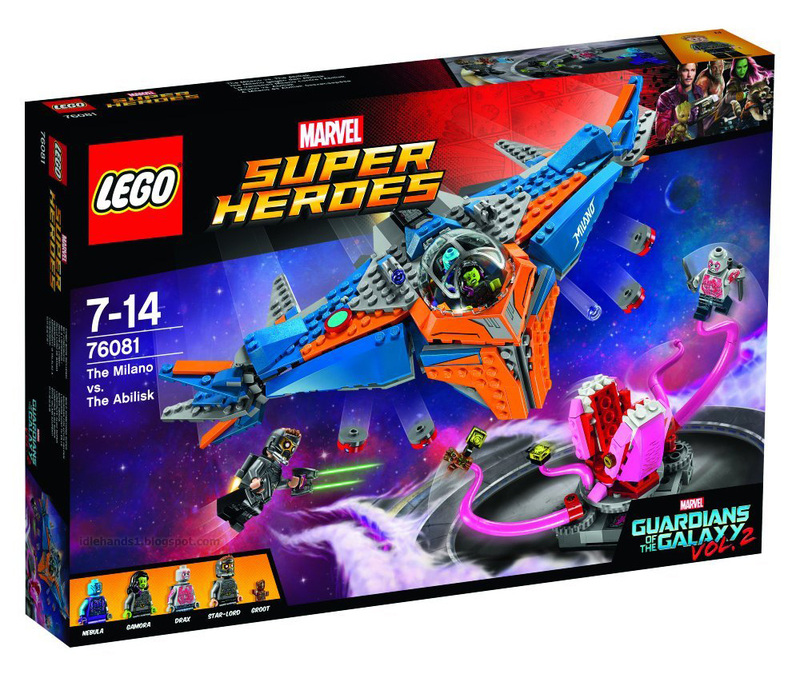 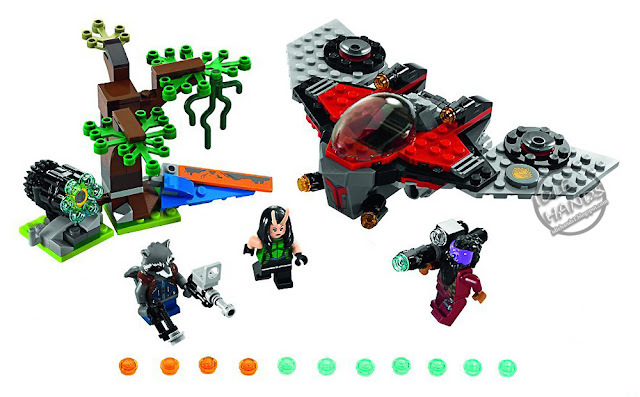 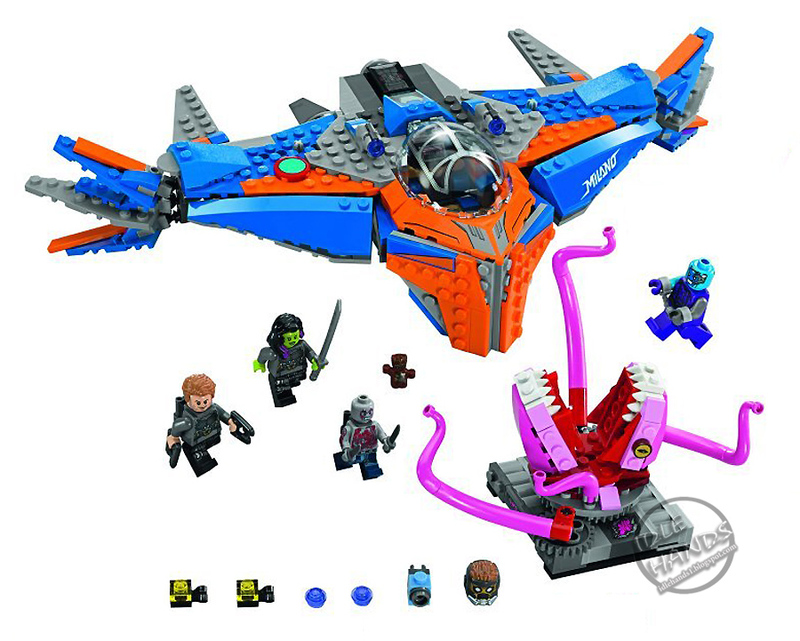 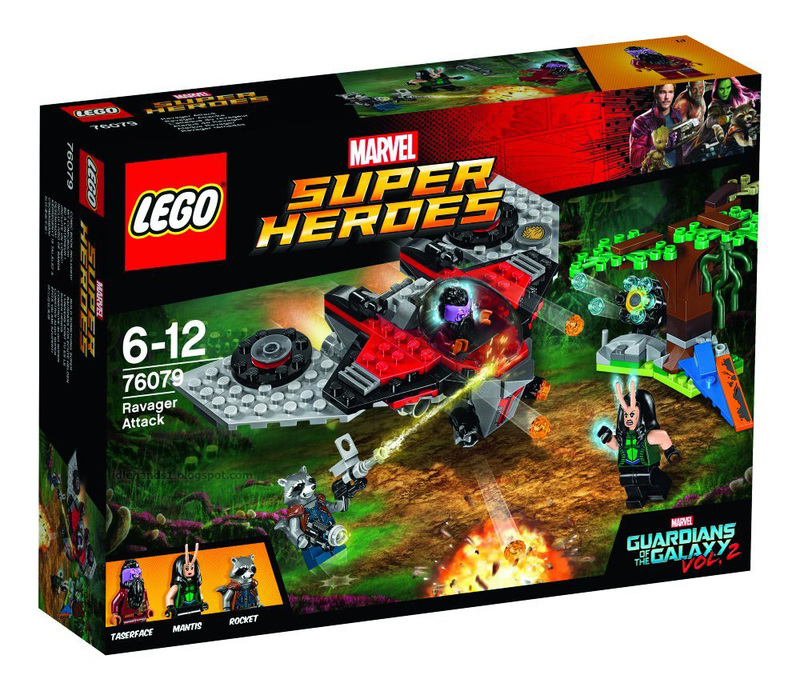 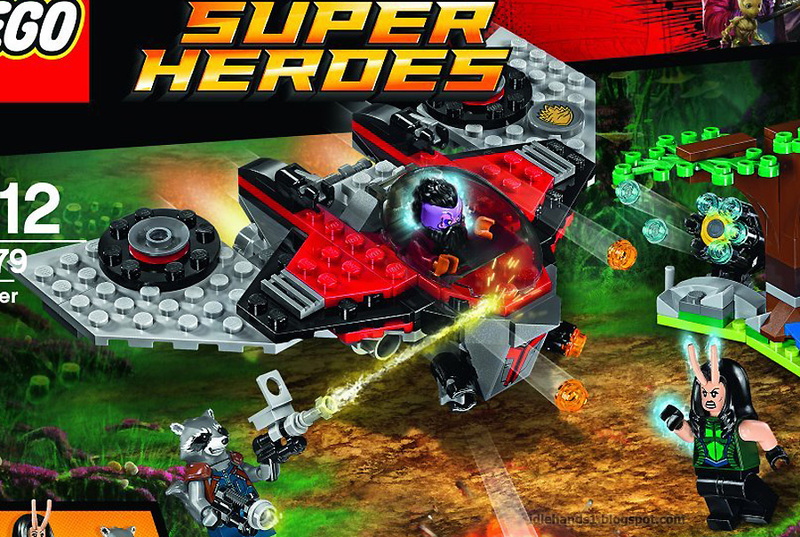 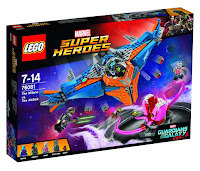 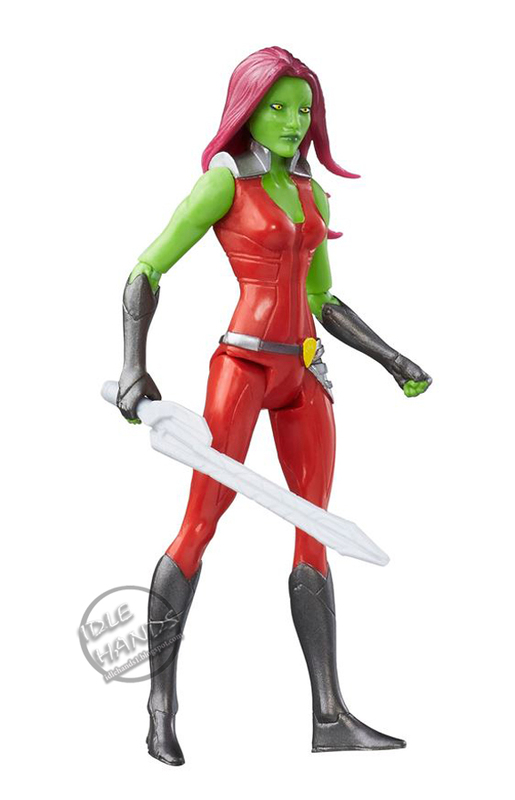 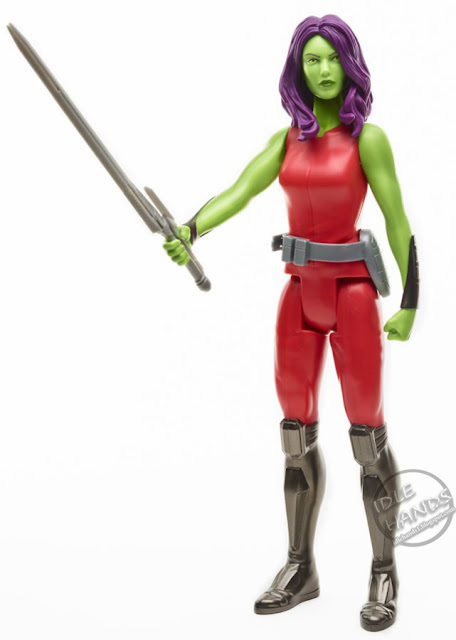 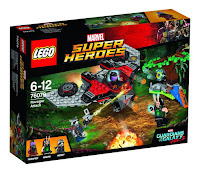 Gamora - With fierce combat skills, Gamora joins the good guys in the battle for intergalactic justice. 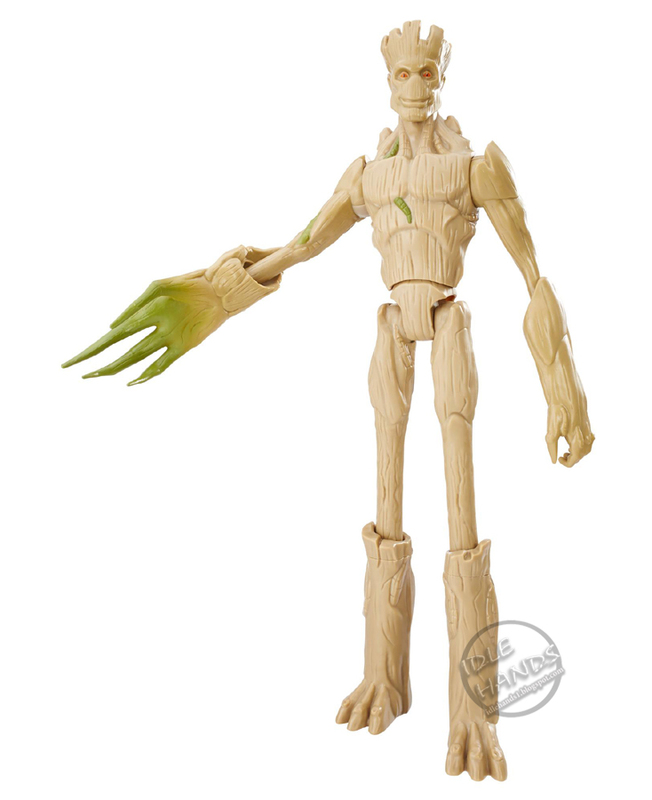 Groot - A tree of few words, Groot is a loyal ally and protector of justice. 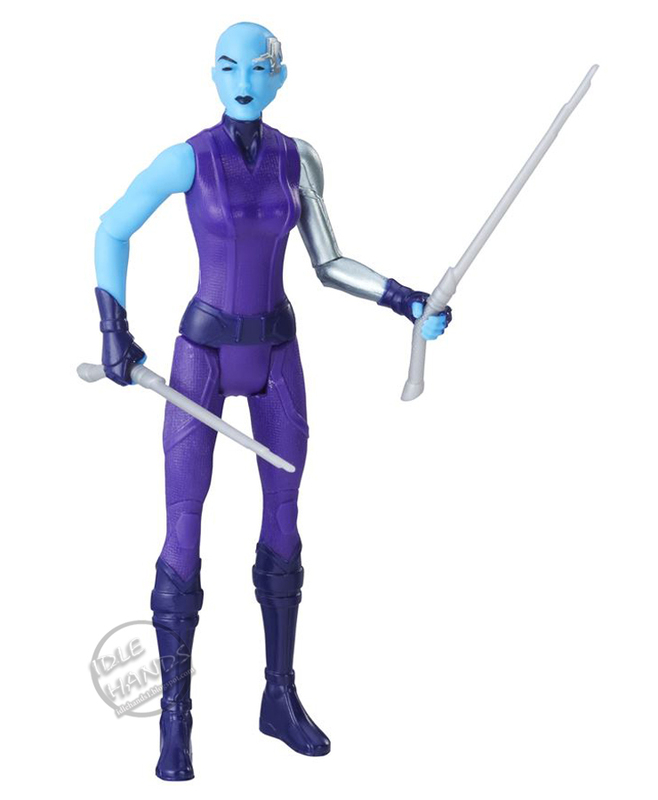 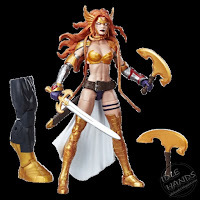 Nebula - This Marvel Guardians of the Galaxy Marvel’s Nebula Figure is a daring strategist and skilled fighter, Nebula is notorious for her fearlessness throughout the galaxy. Rocket Raccoon - A mechanical genius and intergalactic hero, Rocket Raccoon fights to take down the bad guys! 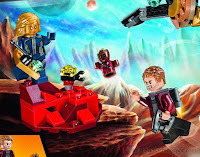 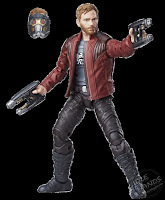 Star-Lord - When the fate of the universe hangs in the balance, Peter Quill is ready to defeat interstellar evil! 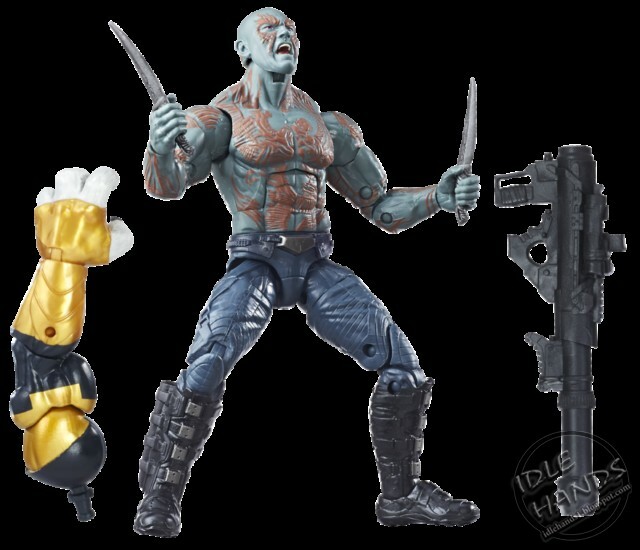 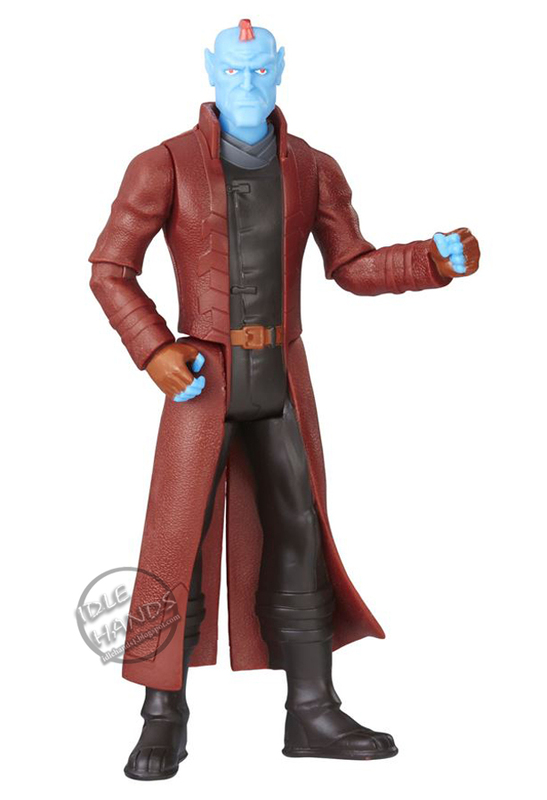 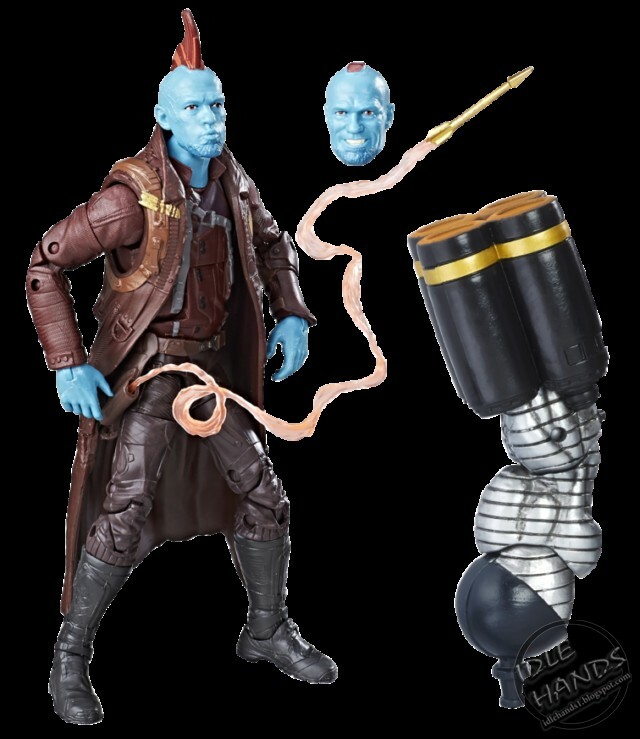 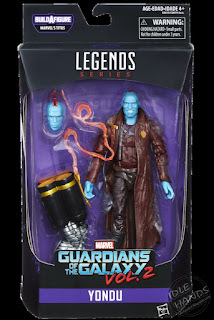 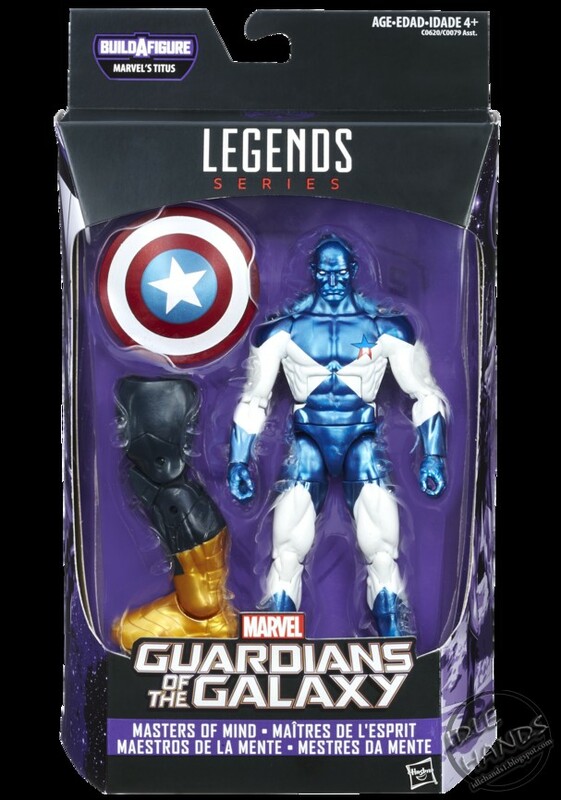 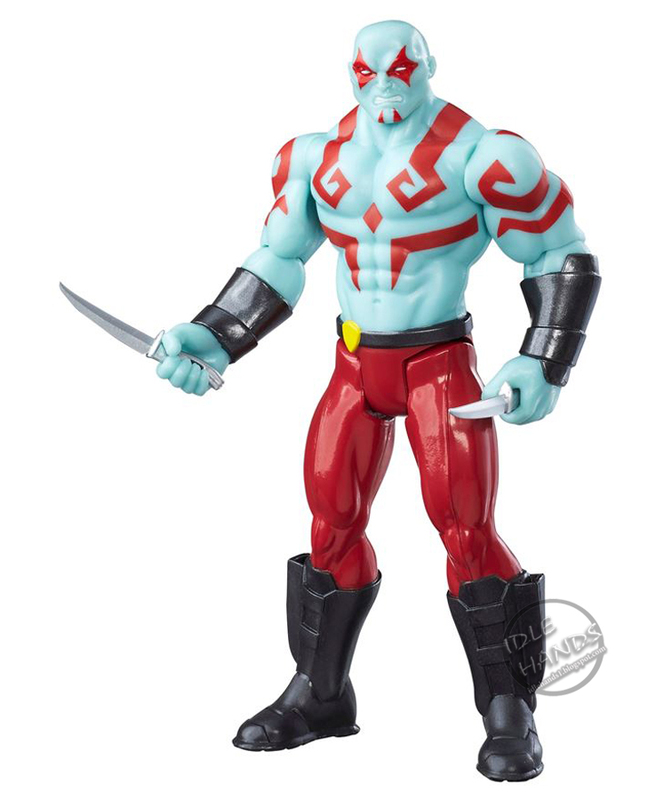 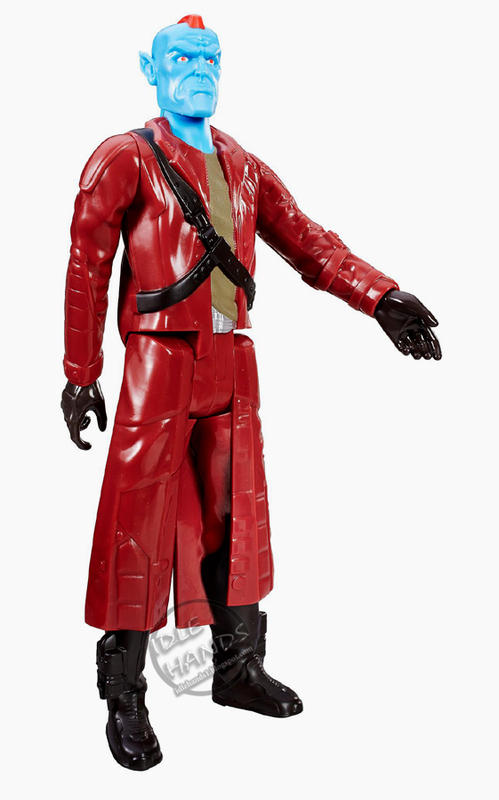 Yondu - This Marvel Guardians of the Galaxy Yondu Figure is a hunter from the Zatoan tribe, Yondu is a powerful warrior shrouded in mystery. Intergalactic evil-doers watch out! 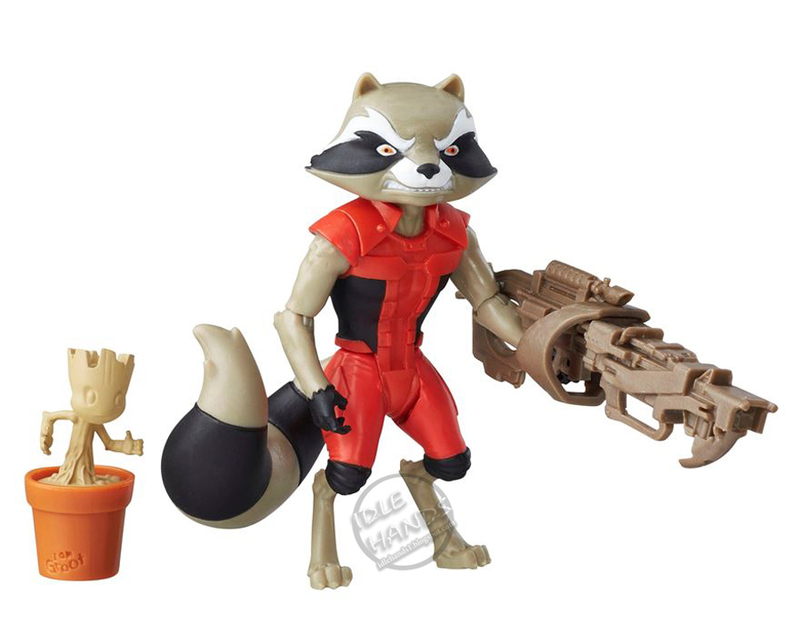 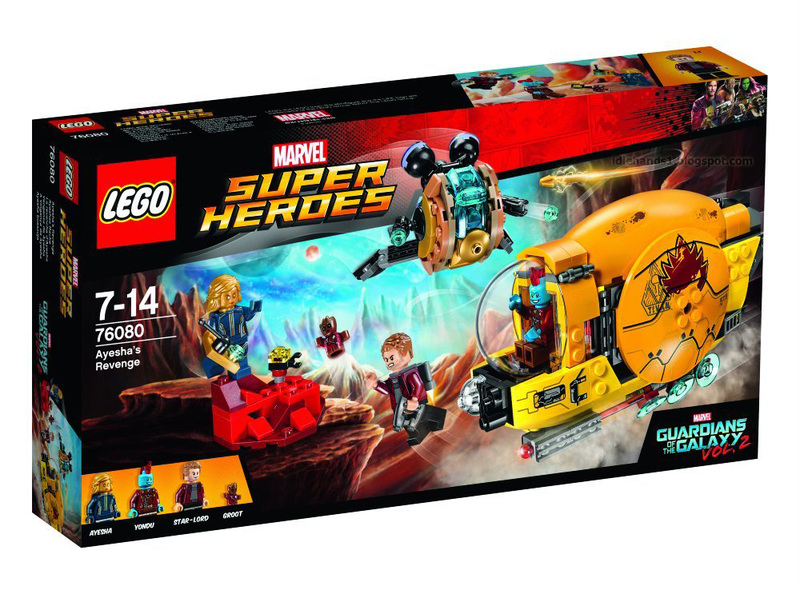 Groot is a nearly indestructible ally in the mission to protect the galaxy. 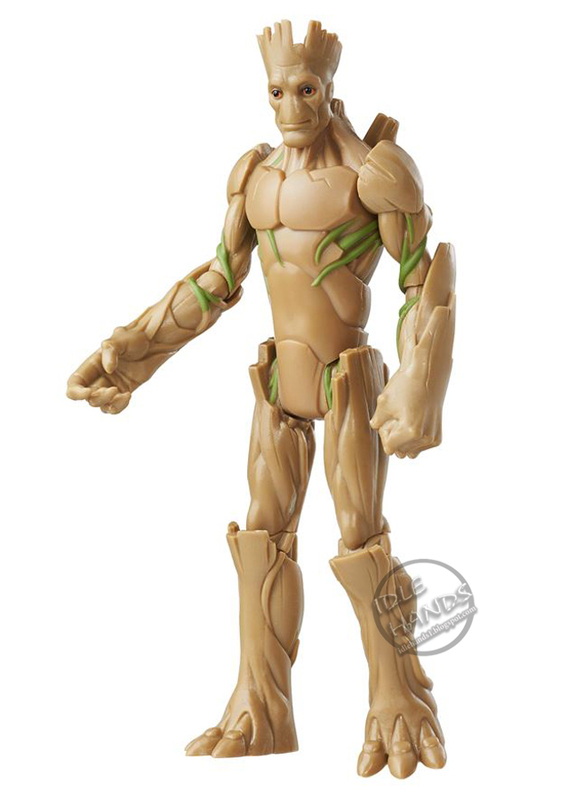 With incredible powers of regeneration, Groot can grow from a sprouting sapling into a towering, tree-like humanoid. 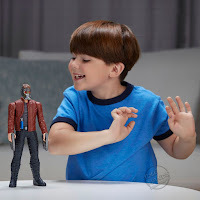 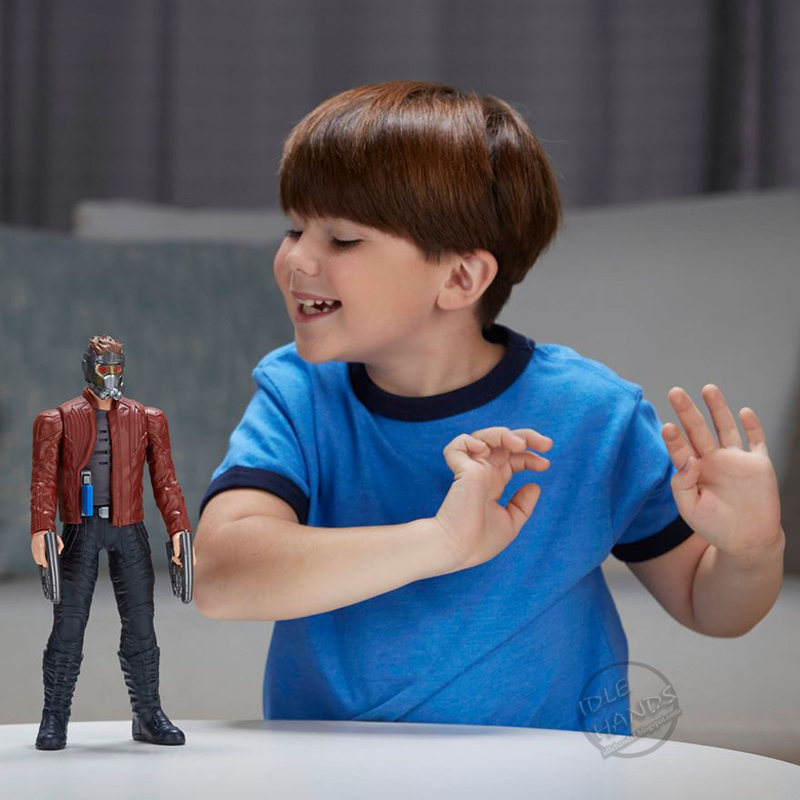 Kids can imagine Groot mastering the power of regeneration with the Growing Groot, a Guardians of the Galaxy-inspired figure that can extend from 11.6 inches to 15 inches with just a simple adjustment. 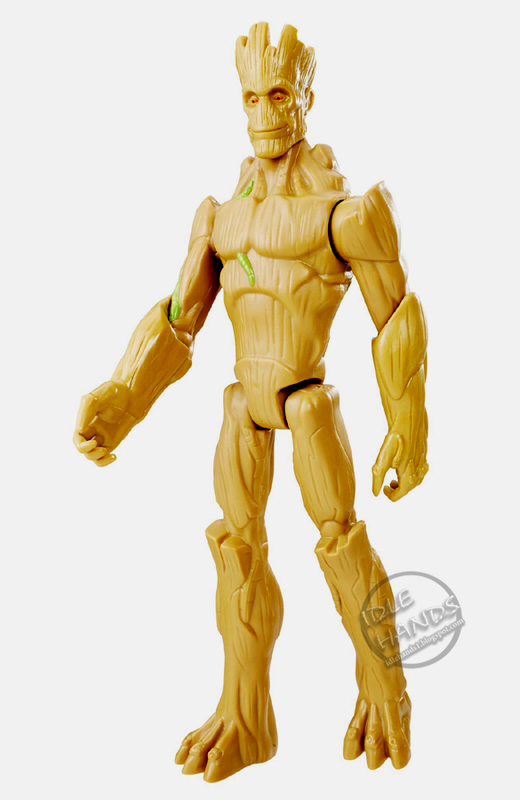 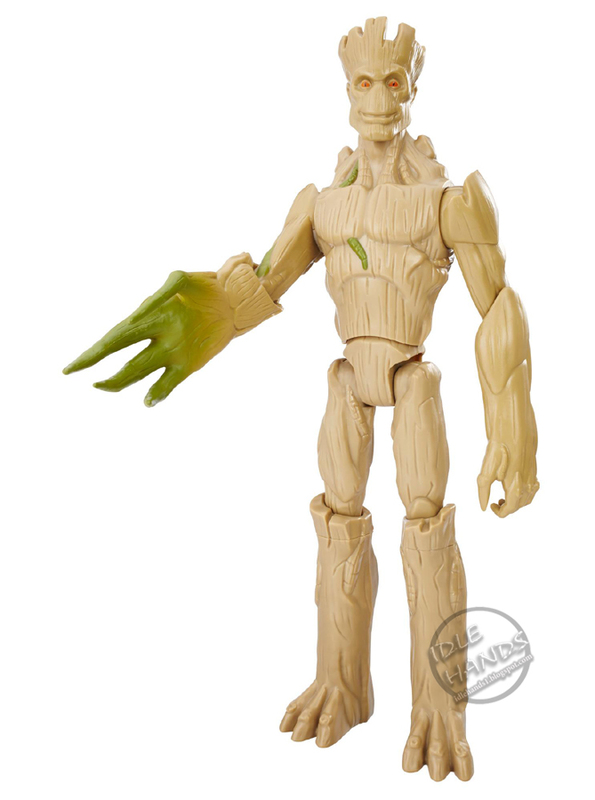 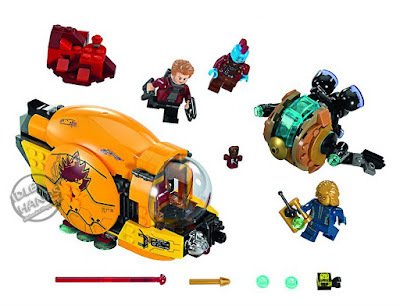 Pull to extend Growing Groot’s limbs and torso and imagine Groot growing! 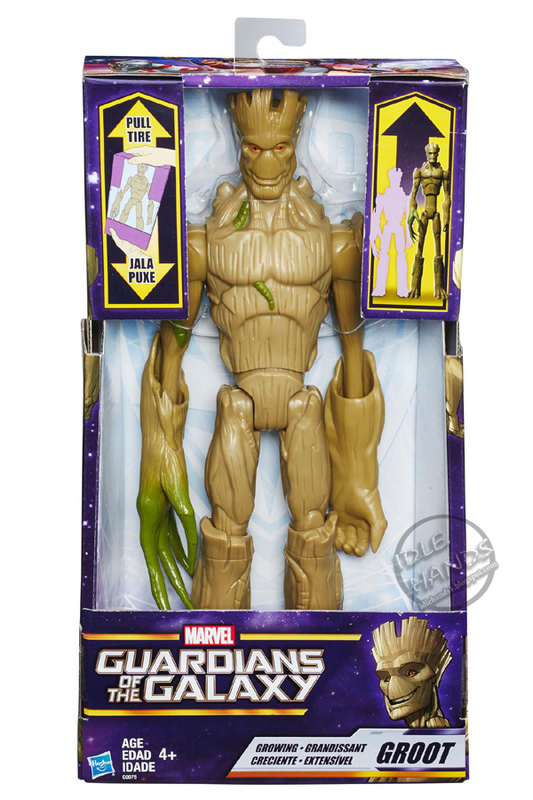 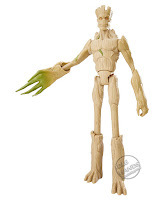 Perfect for tree-lovers and aspiring intergalactic heroes alike, this Growing Groot features basic articulation and animation-inspired design, so kids can set up the figure and imagine big intergalactic action. 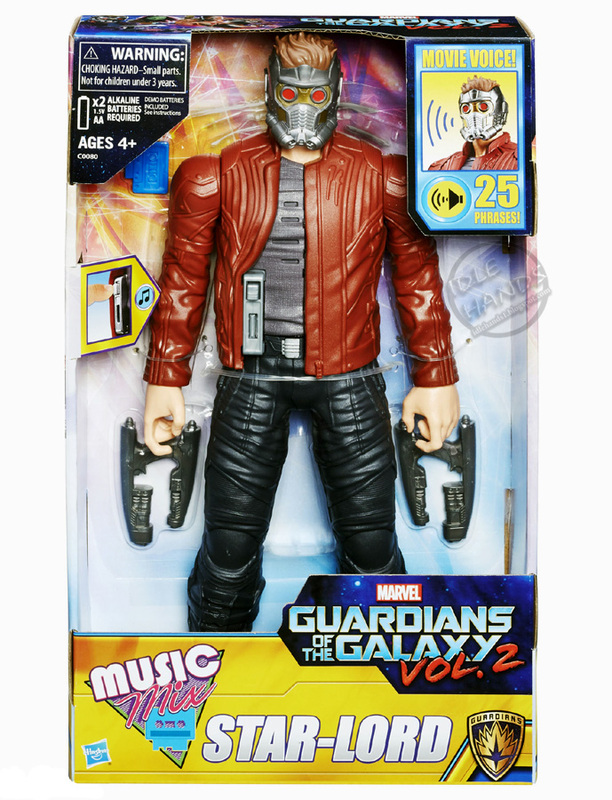 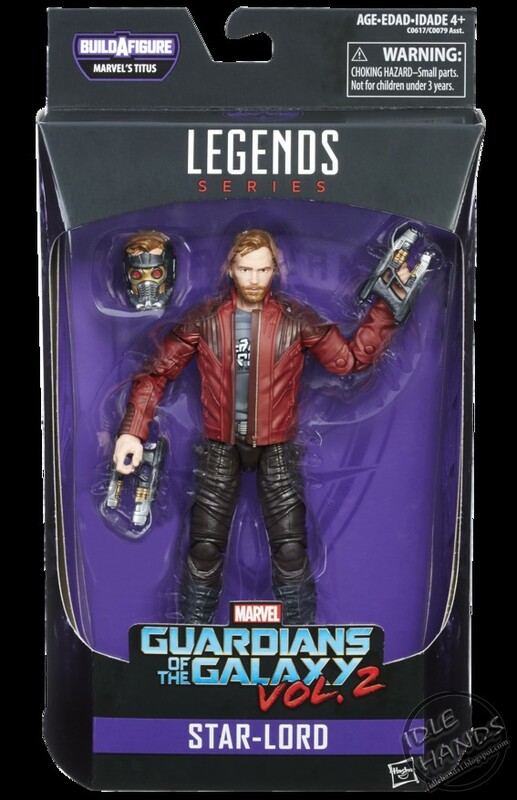 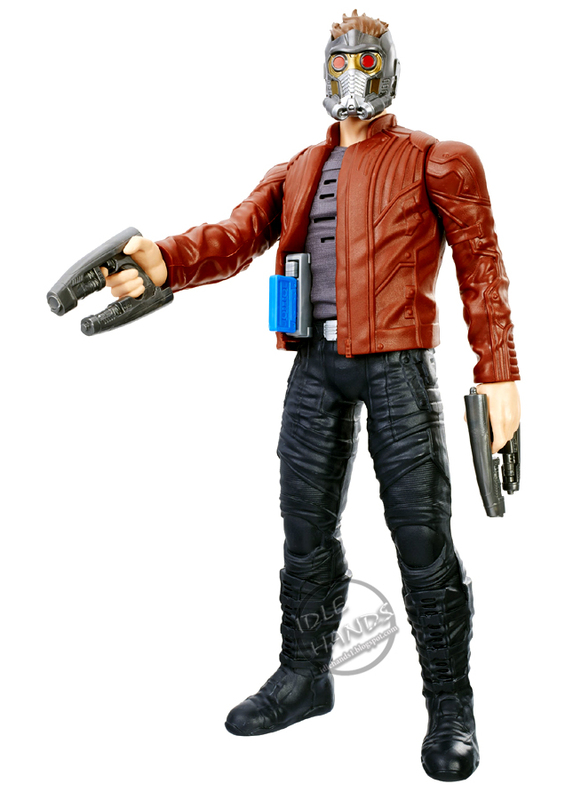 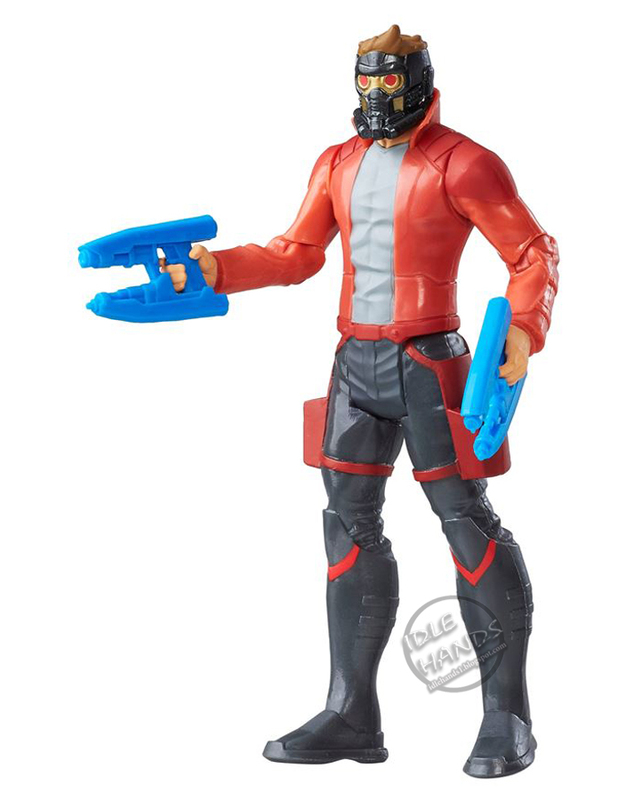 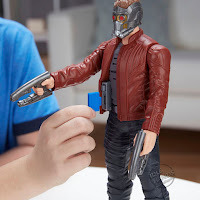 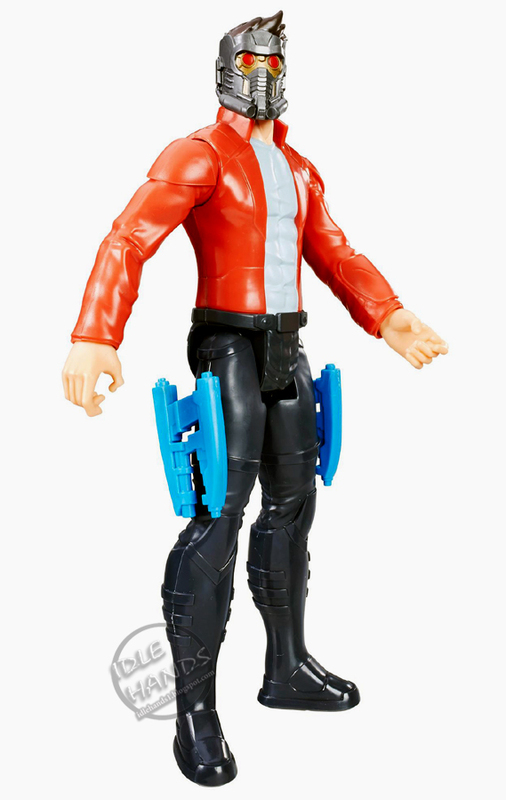 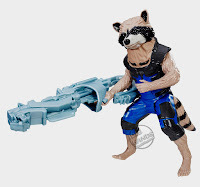 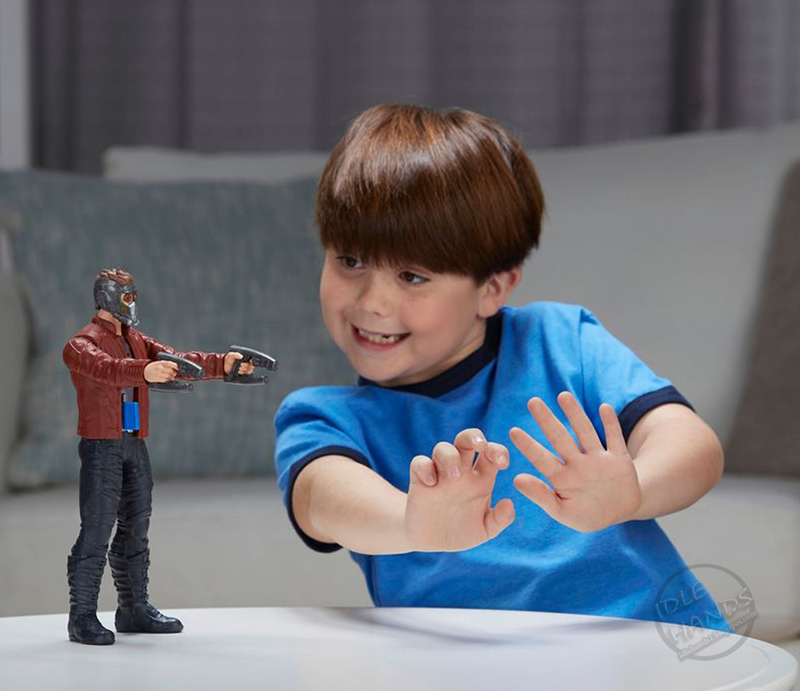 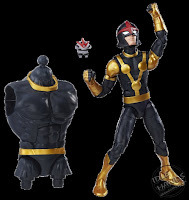 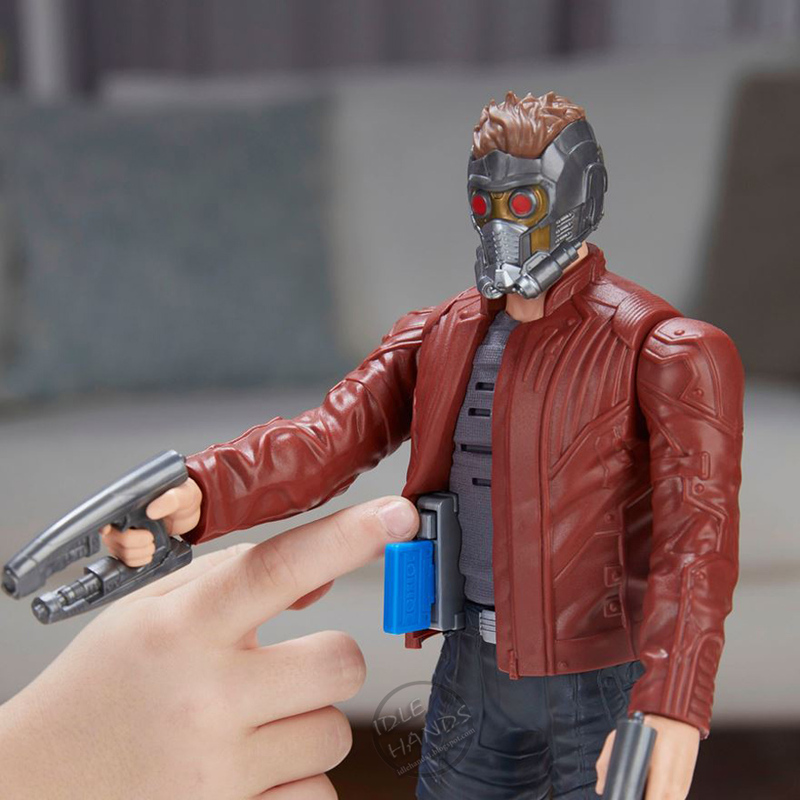 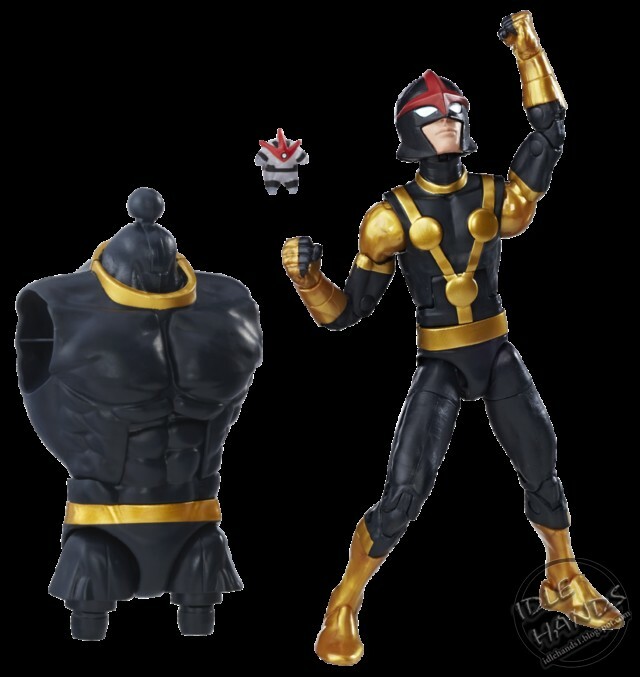 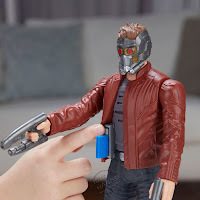 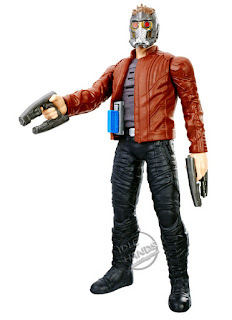 With this Electronic Music Mix Star-Lord figure, kids, trees, and genetically-modified raccoons alike can all imagine blasting out-of- this-world tunes while they blast into awesome intergalactic action. 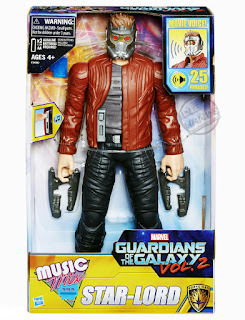 With the Guardians of the Galaxy, the world of Super Heroes and super villains gets a seriously groovy remix. 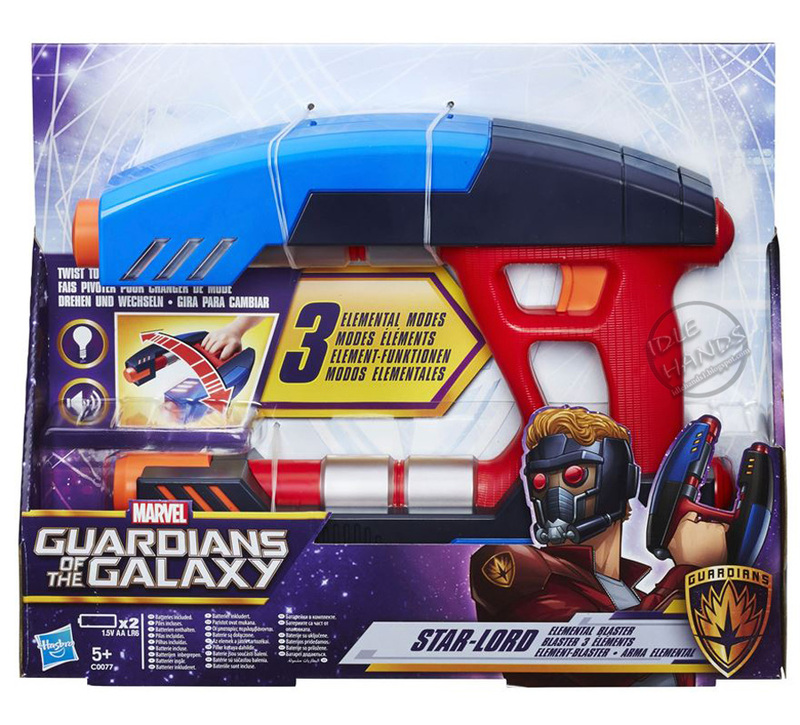 Gear up like Star-Lord with the Star-Lord Elemental blaster! 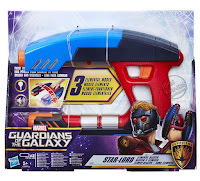 The Star- Lord Elemental Blaster boasts 3 unique blasting settings with different lights and sound effects that just might pack enough galaxy- saving dominance to shut down the bad guys. 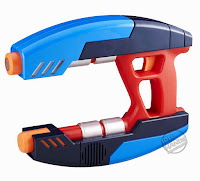 Rotate the blaster to access new elemental modes, including Water, Fire, and Electricity. 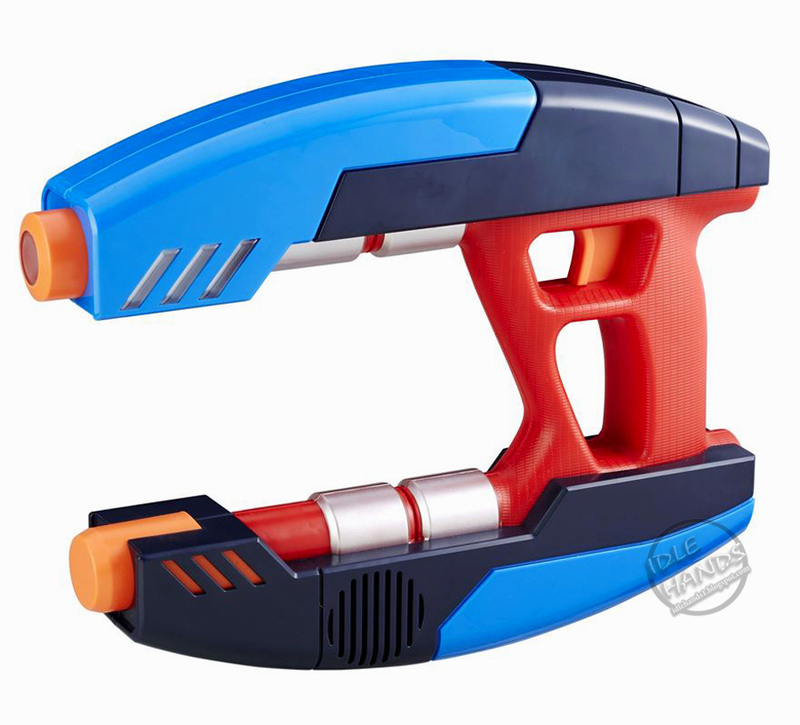 Green lights signify water, so kids can imagine dousing their enemies and leaving them in soaked defeat. Red lights signify fire, letting future galactic guardians pretend to burn their opposition to a crisp. 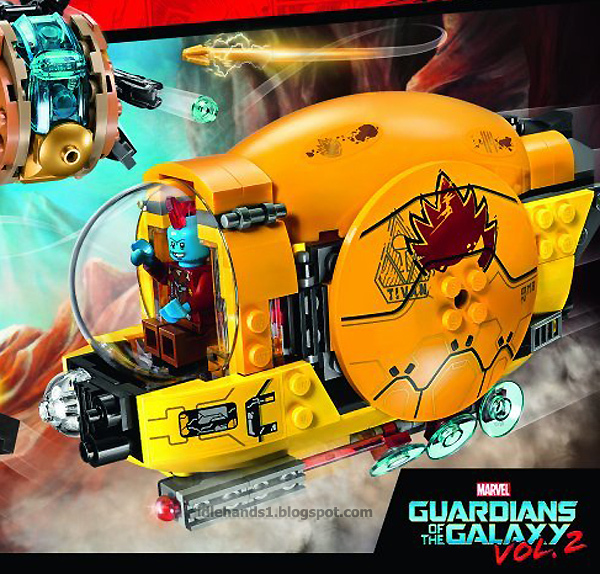 Finally, yellow lights signify electricity, so universal protectors can imagine shocking the bad guys with electric force! With the power of elements locked and loaded with the Star-Lord Elemental blaster, intergalactic space-punks don’t stand a chance. Collect parts to build Titus! 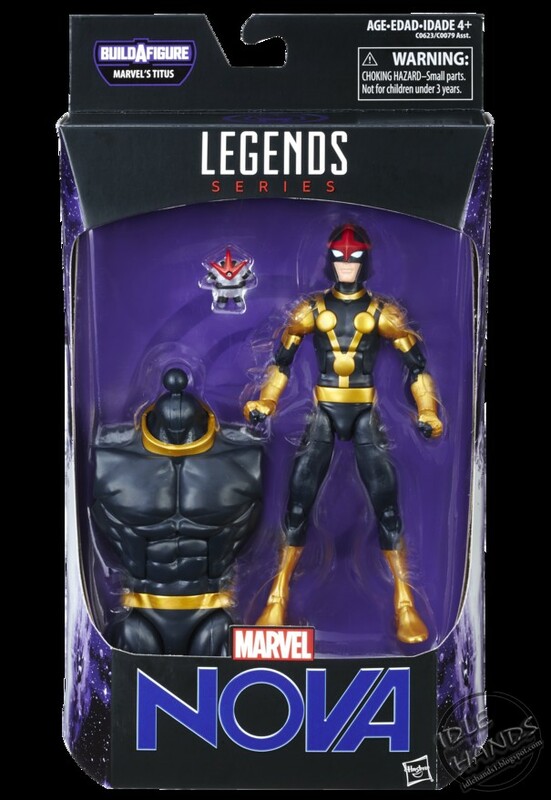 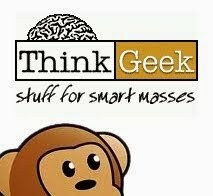 More Toy Fair 2017 to come! !